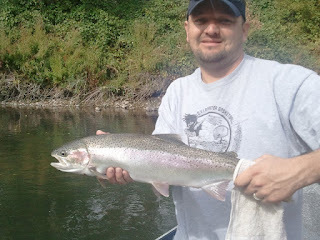 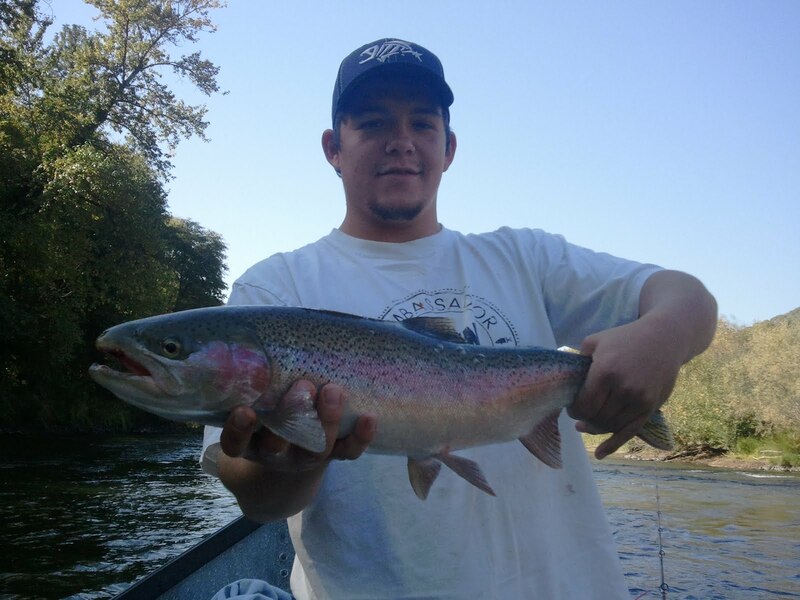 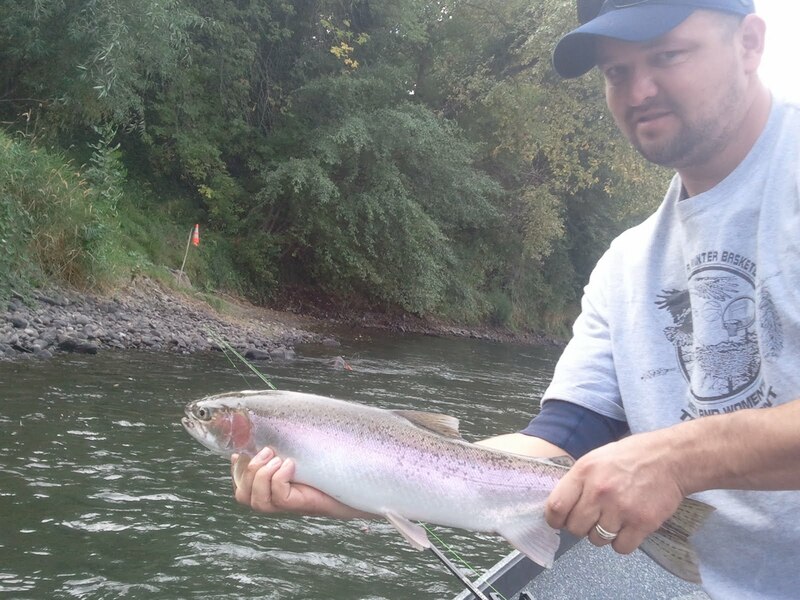 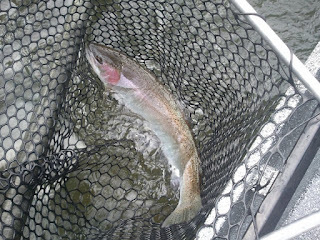 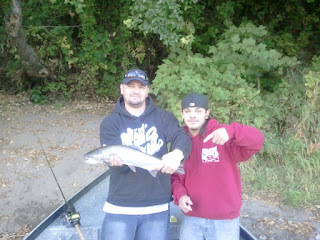 The Rogue River has been real HOT in October with plenty of steelhead around like this one caught by Herman on our trip. 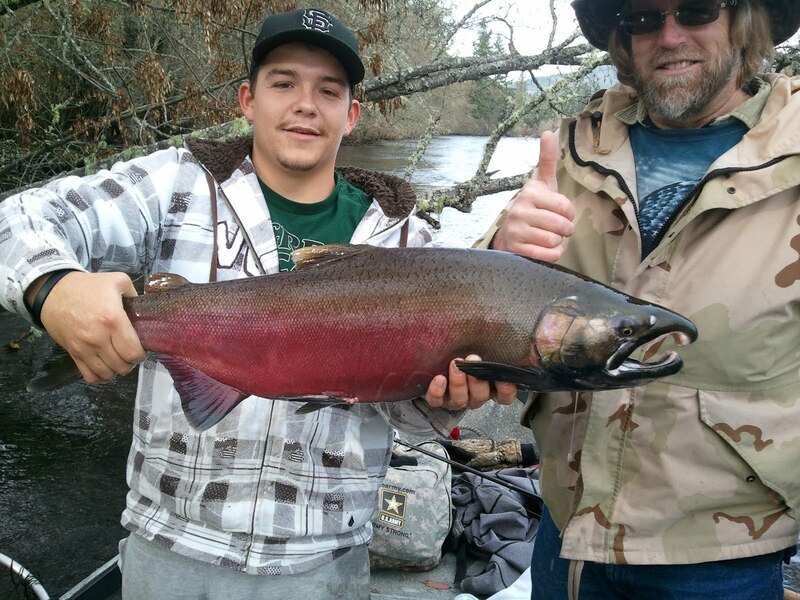 Even 1 of these high flying steelhead is worth the trip but we've been averaging 3 to 5 fish days in October and see 3 to 10 fish days in November and December. November and December are one of the best times to book a trip with Phil Tripp's Guide Service because of our mixed bag of steelhead and Silver (Coho) salmon we see here on the Rogue River.